What is the thing that makes men and women in every walk of life less suicidal, less depressed, less apathetic, more motivated, more focused, more likable and generally happier? What is the thing that consistently decreases greed, selfishness, and self-focus? What has changed the lives of women but statistically tends to give men an even bigger sense of well-being? 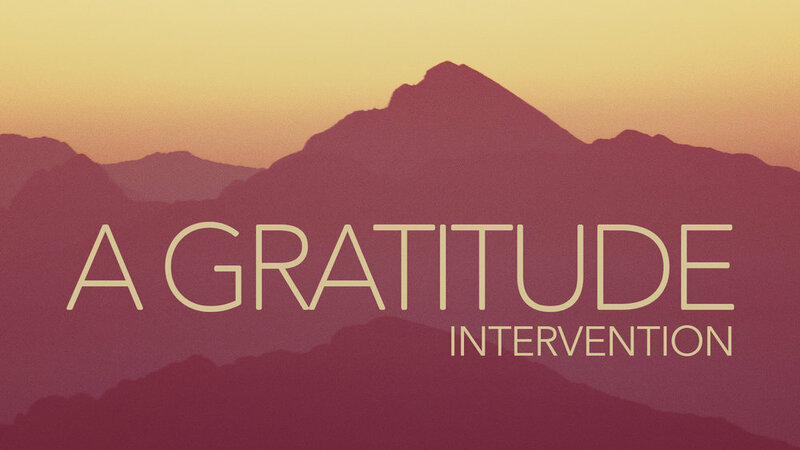 It is something that takes practice and learning: Gratitude. We need An Intervention. Let’s learn it together and watch life get a little brighter.